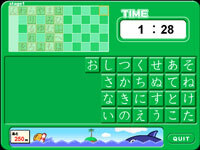 KANA KANA is a hiragana and katakana learning program that focuses on reading and listening skills. 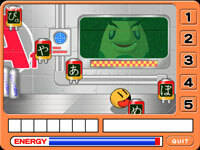 When you become a jp-lesson member, you can download "KANA KANA" for FREE. You learn the sounds and shapes of kana letters one at a time. If you're new to kana, let's start here. You can choose either "letters and sounds" or "sounds only." You distinguish a letter from those that look a lot like it. You can choose either "letters and sounds" or "sounds only." 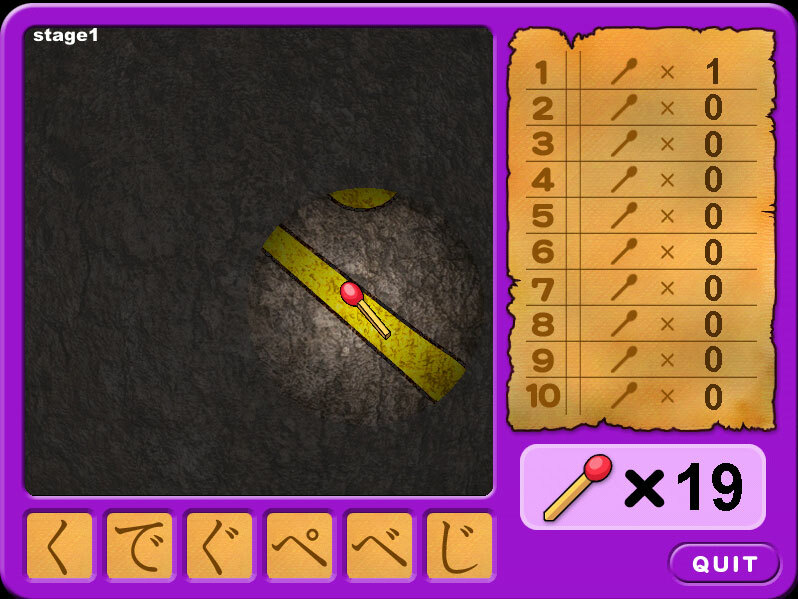 You identify letters hiding in a dark cave. This helps you distinguish and remember the differences among similar letters. After you see a word in hiragana(katakana), remember the letters and catch them in the order in which they appear in the word. You must quickly memorize the letters of a word that appears briefly. 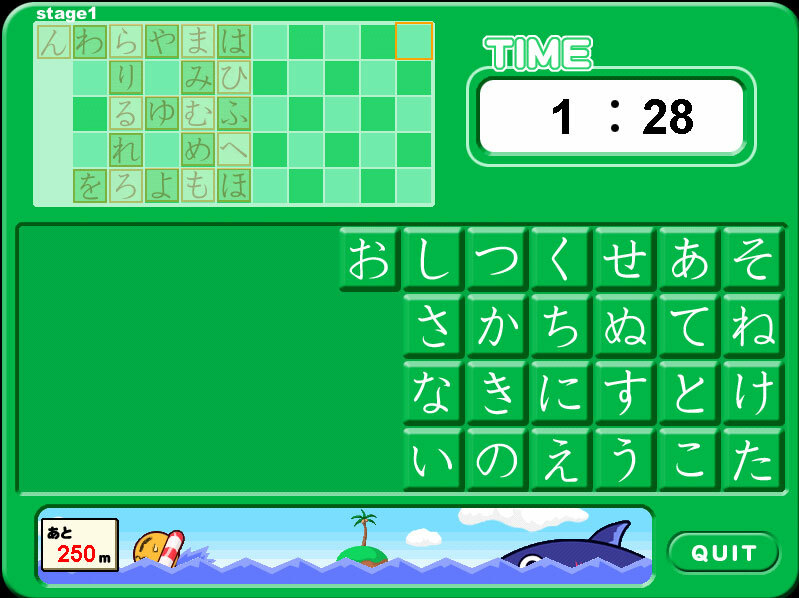 This game will help you master reading and hearing kana letters. 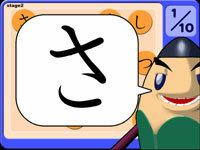 You win by knowing how to read a small "tsu" and pronounce it correctly. 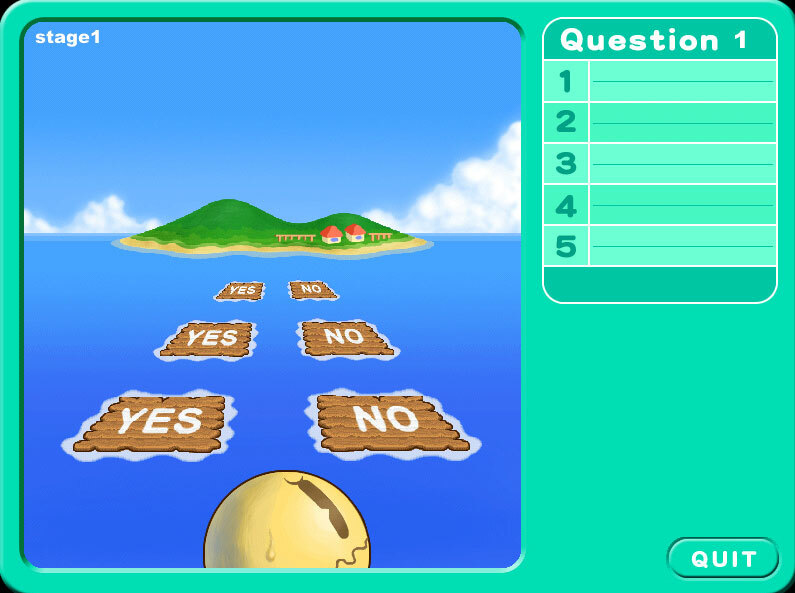 You cross the sea to the island by correctly judging whether the word you hear has a small "tsu" in it. You learn how to read a long vowel and pronounce it correctly. 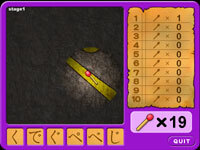 To win, you correct words in makimono scrolls. You get a sense of what Japanese mora are. 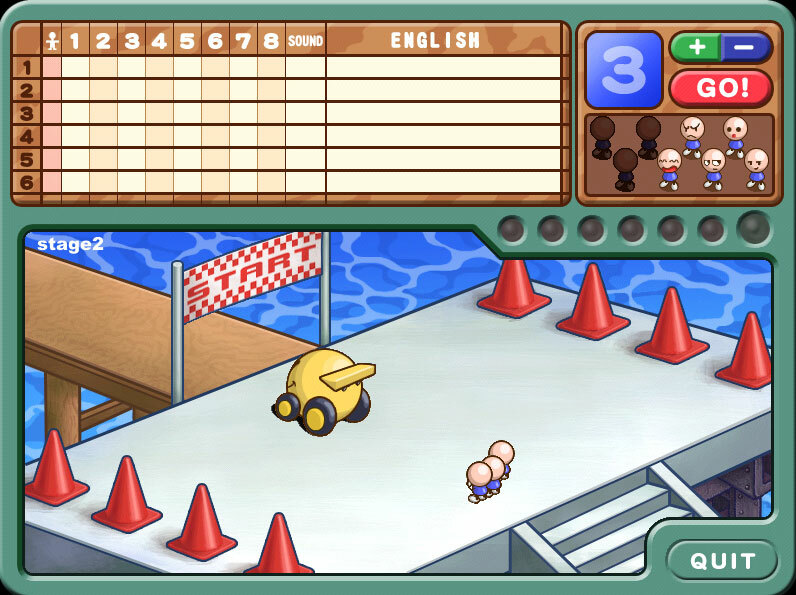 You win by judging the right number of mora that get your character's car to the finish line.